Green Giant™ Roasted Veggie Tortilla Chips - yummy is all I can say!! Brand new hot off the press are two delicious flavors of chips. Roasted Veggie Tortilla *Garden Ranch* and Mulitgrain Sweet Potato *Barbecue* there are two additional flavors too Roasted Veggie Tortilla Chips in Zesty Cheddar and Multigrain Sweet Potato Chips with Sea Salt. 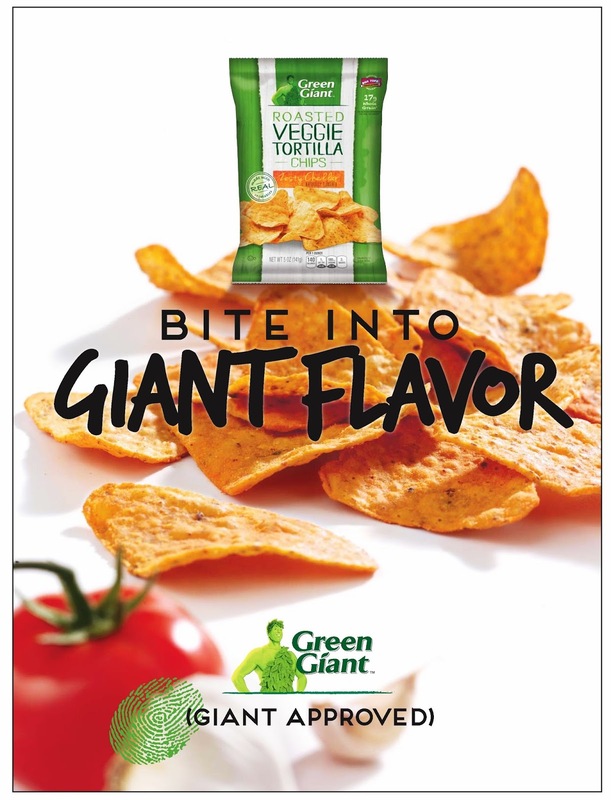 Green Giant isn't just for veggies any more, now they have chips and I was lucky enough to receive two bags to sample, and share with you, and ya know what they are great. It's the perfect chip for entertaining with a dip or like we tried with Guacamole. They are very flavorful and crisp. Here are the chips in real life side by side. Sweet potato on the left and Tortilla on the right The Roasted Veggie Tortilla Chips has a delicious taste of roasted bell peppers and ranch flavor! They have 18 grams of Whole Grain, 0 grams of Trans Fat and made with real vegetables! While, the Multigrain Sweet Potato Chips has the delicious flavor of sweet potatoes and smoky barbecue! They have 14 grams of Whole Grain, 0 grams of Trans Fat, made with Real Sweet Potatoes and they have 40% less fat than regular potato chips!